Anti-Israel activists have taken to Twitter to protest a French high court decision upholding a ruling that sentenced a group of pro-Palestinian activists in Colmar, France, to pay high fines, for urging grocery store patrons to forgo products made in Israel. The activists were prosecuted under a French law that prohibits speech that "incites racial hatred," and it has often been used to prevent hate speech. The protestors reportedly wore shirts telling people to boycott Israel and passed out fliers at a local supermarket in the northern town of Colmar that declared "buying Israeli products means legitimizing crimes in Gaza,” the Times of Israel reported Friday. The 12 protestors were sentenced to fines totaling $14,500 as well as court expenses, and the Court of Cassation, a court of last resort, upheld the local court's first ruling Friday. The laws prohibiting hate speech in France have been frequently employed to prosecute racially charged speech, and many people both in and outside the country have criticized the law as a violation of free speech. The law states individuals can be fined and even serve jail time if their remarks could incite people to commit racially motivated crimes. Marine Le Pen, a far-right politician and leader of the National Front political party, is currently on trial under the same law after she compared Muslims praying in the street to the Nazi occupation of France. French citizens were divided on the court's decision, with many people taking to Twitter both in support of and against the ruling. One former federal government spokesperson, Guillaume Didier, wrote a post in favor of the court's ruling. "The Court of Cassation has confirmed yet again the illegality of the boycott of Israeli products. Boycott = discrimination," read a tweet posted to Didier's Twitter. Other Twitter users, including several people who identified themselves as university professors, wrote posts seemingly condemning the court's decision, citing the need to organize for Palestine. "57 Palestinians dead since October 1 and more than 1800 wounded, most recent victim Ahmad Kmail," read a post from Mohamed Nathamza, who called himself a mathematics professor. 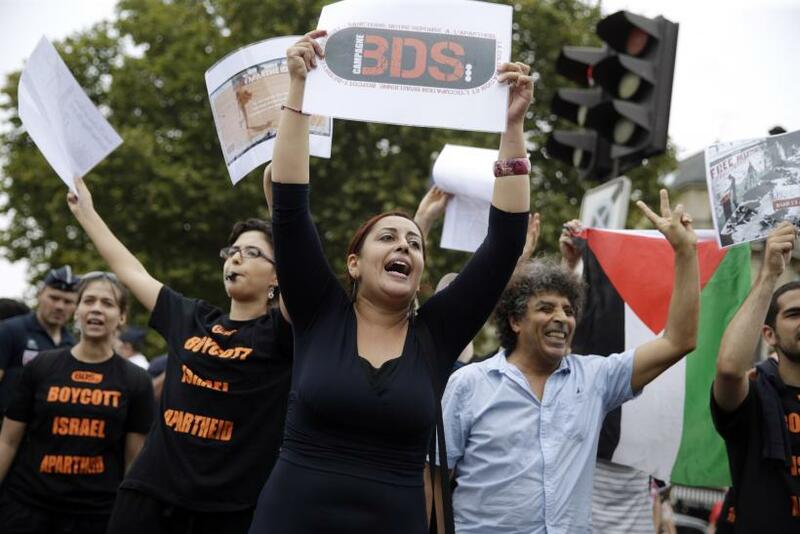 Another professor, Jose-Luis Moragues, helped spread the word immediately about another show of Palestinian boycotts, divestment and sanctions (BDS) in Montpellier, central France. News of the court's decision arrived as violence in Israel and Palestine continued, with casualties mounting over the past several weeks as bouts of violence broke out on both sides.